Welcome to Keller Williams Realty Atlanta - Sugarloaf. 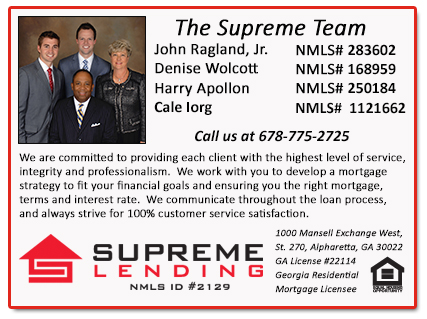 Supreme Lending - Mortgage services you can trust and depend on. The mortgage business is not all about numbers and interest rates. It’s about people and their dreams. Don’t trust those dreams to just anyone. That’s why I’d like an opportunity to demonstrate my knowledge and ability as well as earn your trust. As your loan officer, you can depend on me.